While the modern, industrialized farming of animals was born decades ago in the U.S. and Europe, it has since become the most rapidly growing system of farm animal production. This global intensification of animal farming has profound consequences for the welfare of our planet in terms of greenhouse gas emissions, environmental degradation, global public health, and more. Thankfully, we aren’t the only ones who are concerned! Enter, Good Dot: The plant-based meat startup working to stop factory farming in India before it takes root. 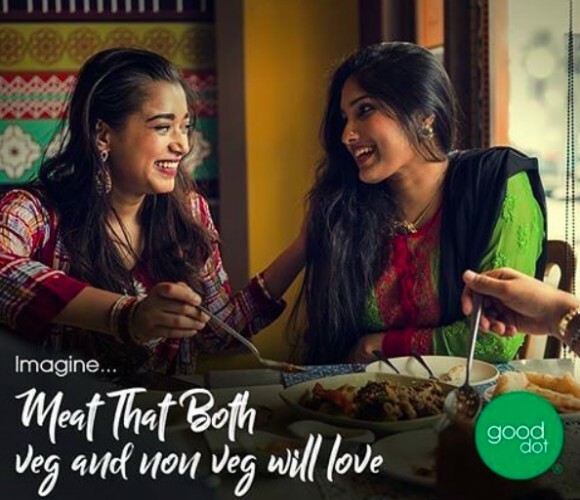 Good Dot is serving India’s skyrocketing number of non-veg consumers with a satisfying, health-promoting option that is good for the planet and animals as well. 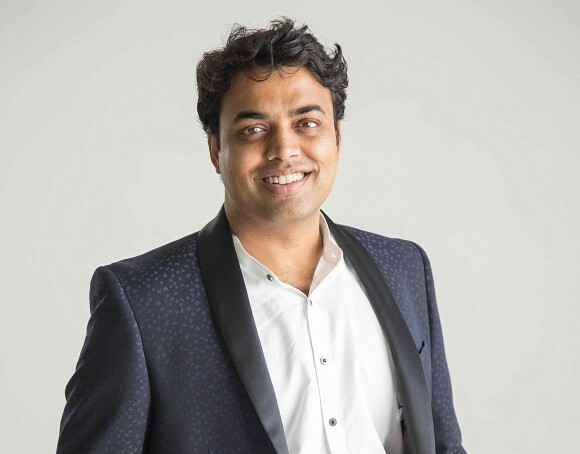 We connected with co-founder and CEO of Good Dot India Abhishek Sinha to learn more about him and this breakout company. Abhishek was born in Patna, India, and moved from city to city as a child following his father’s work as a government service employee. Abishek has degrees in chemical engineering and taxation, but his love of animals and desire to positively impact the planet led him to dive into a years-long R&D process that became Good Dot. What is your motivation for focusing on food? Unfortunately, the food system is the center of a tremendous amount of cruelty toward animals. Despite this, consumers continue to eat meat on account of taste or perceived nutritional fulfilment. However, with current technological improvements and in-depth R&D, it's possible to take animals out of the meat equation! This benefits the health of the individuals, the environment, and the animals too. So by entering into the food space, I believe we can make the greatest positive impact in all three of these areas. 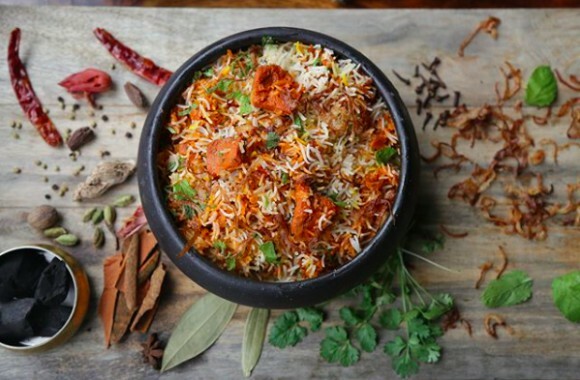 India also presents an immense market opportunity for cutting-edge plant-based meats: Around 32% of the the huge Indian population of 1.2 billion is vegetarian, and many non-veg eaters are searching for an option that allows them to eat in line with their values without sacrificing taste. check out @gooddot on Instagram! What one or two people, books, or films have most influenced or inspired you in your work? Tell us a bit about why they impacted you. My parents instilled the values of helping the society at large. My wife, Taranum Bhatia, was a strong anchor throughout this journey. Together we have worked to help animals on a small scale. But we wanted to find a way to have a larger impact. We were inspired by the dedication of Animal Rights organisations who are doing a tremendous job to promote animal welfare. Animal Aid Unlimited, an organisation based out of Udaipur, showed us the massive impact a committed set of individuals can have. Together with my wife and my friend, Deepak Parihar, who has been an invaluable ally in this journey , we started exploring the opportunities of setting up a plant-based meat company in India. My sister Shruti helped me scout the entire globe for the various plant-based products, which was instrumental in us zeroing down on a product which was perfect for India. Along our journey, we met Stephanie Downs and Good Dot was born. It was a good moment when we made the decision to earmark 5% of our monthly profits to help animals. There’s another memory that comes to mind: One day while going to the factory, I came across a meat shop where a solitary goat was tied with its head hanging down as if reconciled to its fate. The car had sped past the shop, but I could not get my mind off that image. Instinctively, we turned around and went back to the meat shop and ended up rescuing that goat and around 8–10 chickens, whom we are now taking care of and providing a safe life where they will be loved. The joy in the eyes of my partners and the workers was a sight to behold. If you could be known for one thing, what would you want it to be? I would like to be remembered as someone who used their time on the planet to make the world a more compassionate place for animals. What product or initiative are you most excited about right now? We’ve proven the concept (people love the product! ), and now we are moving into a massive scale up period. 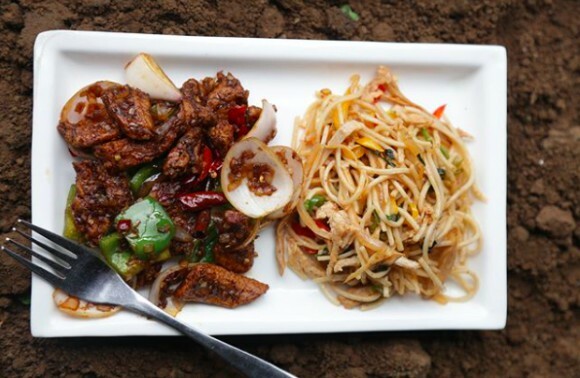 We’re moving quickly to meet the need for a healthier and ethical alternative to meat for the people at large. We can’t wait to see how much good Good Dot can do! Thanks for your time, Abhishek. To learn more about Good Dot, visit their website. And for information on how GFI supports plant-based meat startups, click here!